Sony’s new mid-range smartphone, the Xperia M4 Aqua, has been making its way throughout Canada over the past few weeks – the latest ‘beach’ it has quietly landed is on WIND Mobile’s website with no fanfare whatsoever. It first made its way to Videotron and next it popped up on Bell and Virgin Mobile’s website, all with a slightly different price. It will cost you $299 outright at WIND Mobile’s website. You can also pay $149 on WINDtab, $49 with a $5 per month WINDtab Boost plan and $0 on a $15 per month WINDtab boost plan. We hope that black is your favorite color, as it appears the white version is not available on any of the networks so far. The Sony Xperia M4 Aqua sports a 5-inch HD display with a resolution of 1280 x 720 pixels and about 294 pixels-per-inch (PPI) – only one step down from Sony’s 1080p on its own Xperia Z3+. At 5-inches, 720p is actually a decent display and suites the device very well. The new Xperia Z4v that is going to Verizon will finally be rocking the new QHD display…maybe this is Sony’s first step to upgrading their entire Xperia line. Sony picked a great processor – a 64-bit Qualcomm Snapdragon 615 octa-core with four cores clocked at 1.5GHz and four cores clocked at 1.0GHz. This rendition of the M4 Aqua has 2GB of RAM and 16GB of internal storage, although there is room for expansion via a microUSB card. Sony would never put a bad camera in a smartphone and the Xperia M4 Aqua is no exception. The main camera comes with a 13MP Sony Exmor RS sensor with autofocus and LED flash. Sony does not include OIS, but incorporates their SteadyShot technology to help in that department. Its Superior Auto Mode is designed to capture great images in low light or where there is strong backlight and the front-facing camera (FFC) is a large 5MP wide-angle lens that will help with group selfies or video chatting. Sony is claiming a two-day battery life from its 2400mAh battery…and Sony does know a thing or two about stretching out a battery’s time. Then there is the dust and waterproofing capabilities, so use it in the rain or wash it off…no problem. It is HD voice capable, has Wi-Fi, Bluetooth and is running the newest Android 5.0 Lollipop. It measures 145.5 x 72.6 x 7.3mm and weighs in at 136 grams. 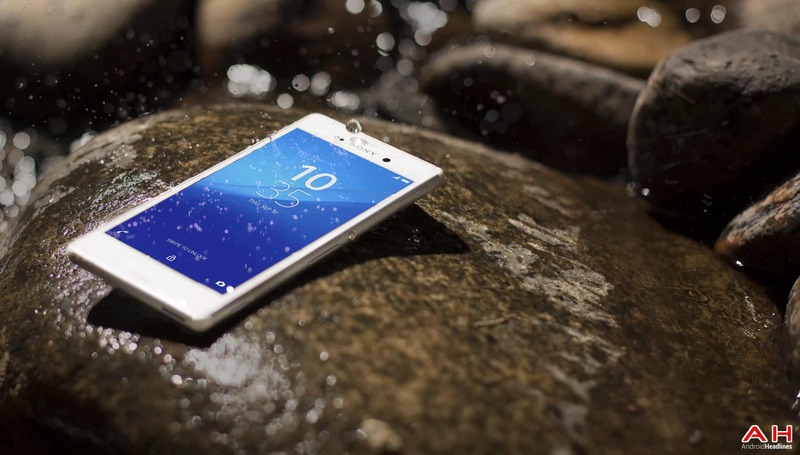 The post Sony Xperia M4 Aqua Drifts Over to WIND Mobile appeared first on AndroidHeadlines.com |.